C’est belle! Et delicieux. Tres, tres delicieux! It’s been two weeks since my last post about my bake-a-long group, so it’s time for another episode of Margaret-Goes-Parisian! In other words, I’ll be writing another post about my adventures baking through Dorie Greenspan’s cookbook, “Baking Chez Moi”. Read along and taste the Parisian flavours vicariously! 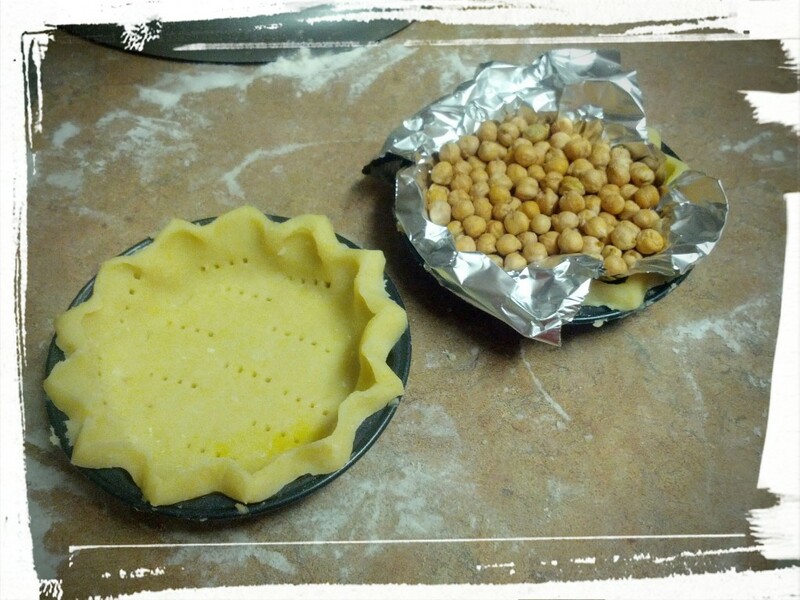 At any rate, I came home today after work and started making the tart. Four hours later, I was done. That’s right…FOUR. HOURS. LATER. I’m tired now, and I’m curled up on the sofa with my laptop, Dorie’s cookbook, and some of the little tarts that I made instead of the big tart that the recipe calls for. Because of course I did! I had to change up the recipe, now, come on! I think half the pleasure of cooking is being able to be spontaneous and creative. Also, I had some tartlet pans that I hadn’t used yet, and that were just aching to be filled with pastry and cream. I made the sweet tart dough and blind baked it in two little tartlet pans, as well as in a mini muffin pan, to make two medium and 18 little tartlets. I put the clementine-almond cream in the tarts and baked them. 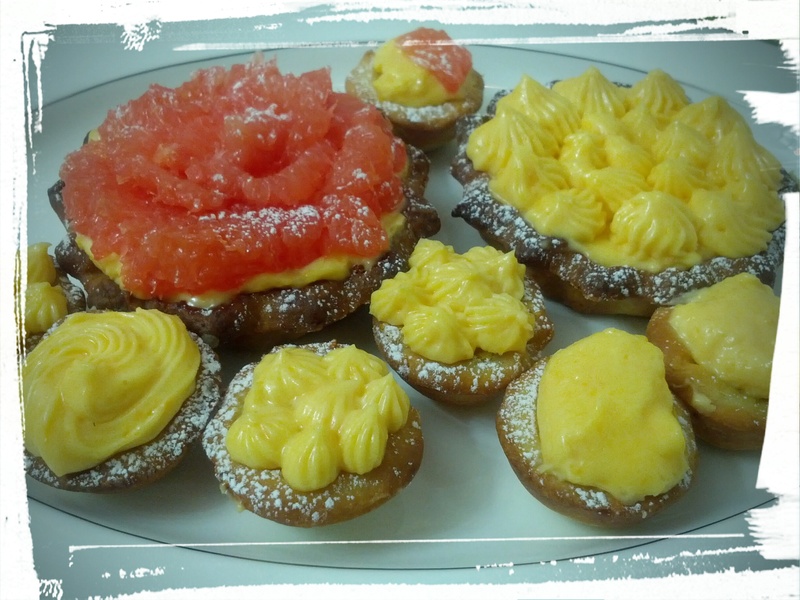 Then I put it all together: tartlet shells with clementine-almond cream baked in, topped with grapefruit creameux, over which were laid grapefruit segments in the shape of a pretty rose, and then the whole lot was dusted with icing sugar. And then I rested. Geez louise, it was tiring! As the hours went on, my internal monologue went something like this: this will be fun!…huh, this is kind of involved…am I done yet?…this is way too much effort…I’m never making this again…ooh, it tastes good!…maybe I’ll make it for special occasions…I should eat another tart, just to examine the flavour….mmm, good flavour, I like! You know how I said that I made 18 little tartlets? Are you wondering why only 7 are in the photos? Well, as I was working away in the kitchen, the DH came home from work. He walked in the door and said, “You’re baking!” And two tartlets were gone with just the clementine-almond cream baked into the crust. And of course, I had to test them too, so that’s two more gone. After two more hours, the DH came out of his man-cave (his office and the techno-hub of our home, but let’s be realistic, it’s effectively a man-cave) and upon realizing that the dessert wasn’t ready yet, consoled himself with another tartlet or two. Then when the grapefruit cremeux was ready, I dolloped that on the tartlets and again it was sampling time, so let’s say another two each. And then when I was photographing the whole thing…it was just so tempting! So I had another. And…another. At any rate, between one thing and another, a good dozen tartlets had disappeared before I knew it. Ah, the perils (joys?) of baking! Just plain pretty! A grapefruit rose layered over grapefruit cremeux and a clementine almond cream, all tucked into a sweet pastry crust. The verdict: Delicious flavours! Not so impressed with the almond cream, but madly in love with the grapefruit cremeux (I could eat it by itself and indeed I shall, because there are leftovers! Which are mine, all mine!). I think next time I should cut the recipe in half, though. Or start getting up early in the morning to go running. Hahahahaha! Getting up early in the morning to exercise?! That’s a good one! *wipes tears of laughter from eyes* And…cutting the next recipe in half it is. Next Post: A variation on my hand-held meat pies! But for vegetarians, because that’s how I roll. This entry was posted in Cook-a-Longs R Us on February 24, 2015 by Margaret. The dish is served. Dig in and get cozy! Alright, my lovelies, it’s time for a nice hearty comfort food dish! It’s bitterly cold outside, so how about a nice, warm shepherd’s pie, straight from the oven? But gone veg, because veg is yummy. However, since the DH is an affirmed meat-a-tarian, this Shepherd’s Pie looks like meat and tastes like meat, and only the most dedicated of meat-lovers will be able to tell the difference. The secret? Veggie ground round, which is made of soy. It’s a very versatile product, and takes on the seasoning of whatever dish you use it in. And the other secret? Use mayonnaise in the mashed potato topping. It makes the potato crust creamier and zingy-er (zingier? Meh.) and it’s an easy add-in. Let’s get cooking! And then comforted by the cooking. Mmm…comfort food…so snuggly and tasty. Chop garlic and onion. Set aside 1/3 c. butter and melt the rest of the butter in a pan. Saute the garlic and onions until golden. Add in bouillion cube, water, salt and pepper, and ground round. Stir until mixed, over medium heat, until heated through. Add in tomato paste, and worchestershire sauce, and stir again. Defrost frozen vegetables and stir in mixture. Set aside the meat mixture. Bake potatoes in microwave (or peel and boil them, whatever’s easier for you!) and scrape out the insides. Mash with milk and butter. Add in mayonnaise and salt and pepper to taste. 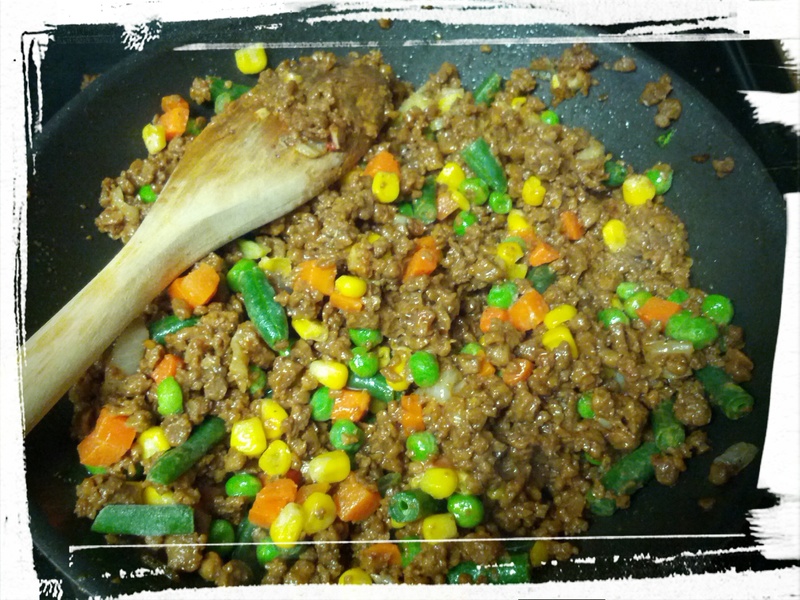 In a baking dish, spread the meat and veggie mixture in the base. Dollop mashed potatoes on top and spread to form the topping. Using a fork, scrape the topping to create a design. Brush with beaten egg yolk. Bake in 375 degree oven until top is golden brown and dish is bubbling. Serve, and feel cozy in your tummy! I’m curious — what’s your favourite comfort food? Let me know in the comments! 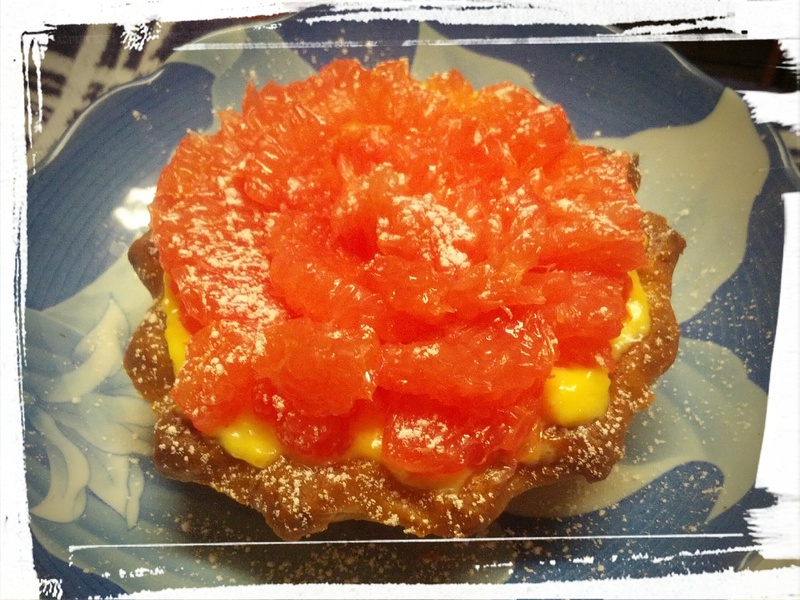 Next Post: Likely a Pink Grapefruit Tart, from my on-line bake-a-long group! This entry was posted in Uncategorized, Vegetarian Main Dishes on February 23, 2015 by Margaret. Serving suggestion: eat with gusto! If you’ve been following along with this blog, you know by now that I LOVE dessert, and that I hate wasting food. I love dessert because obvs, and I hate wasting food because how can you justify wasting a resource when it takes such energy for the earth to produce it, and when millions of starving people around the world would jump at the chance to be in your shoes? Respect the earth, don’t waste food; appreciate your luck, don’t waste food. And on a shallower note, wasted food = wasted money. But back to dessert! I had leftover cream and vanilla bean sugar from when I made a Brown Butter Vanilla BeanWeekend Loaf recipe with my bake-a-long group. I also had a ton of milk powder that my mother-in-law had leftover from when she had made these delicious dulce de leche sweets for our wedding over a year ago. I looked at all those creamy things and thought…rice pudding! 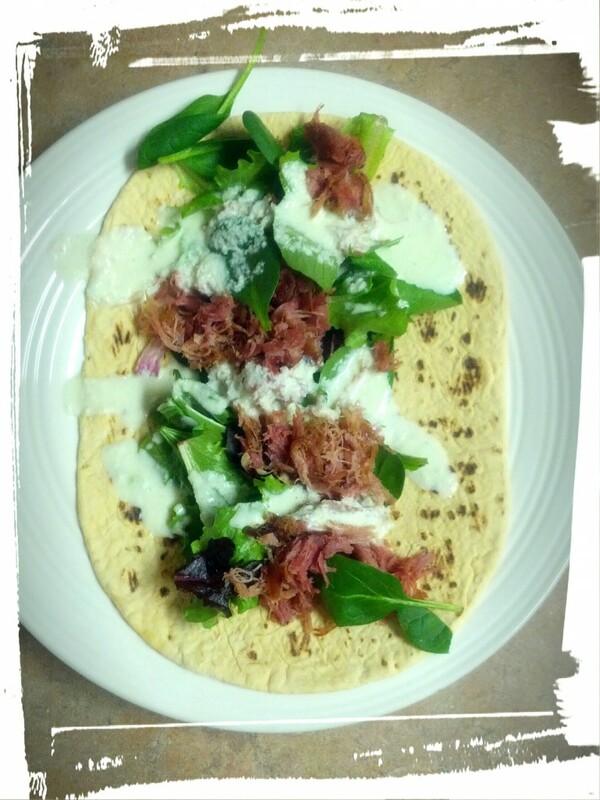 I researched it a bit, and inspired by this recipe and this one, I came up with my own version. Try it out! 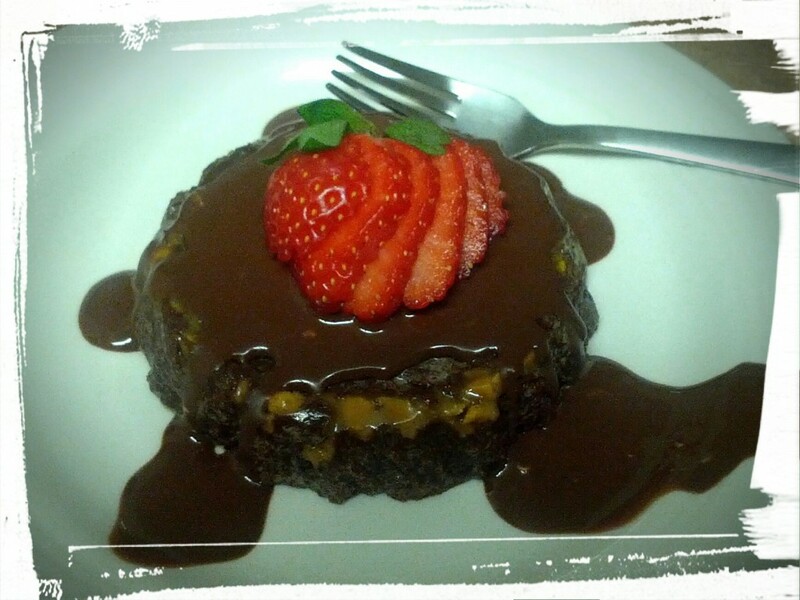 Feel free to play with the amounts and ingredients, to make the pudding to your taste. 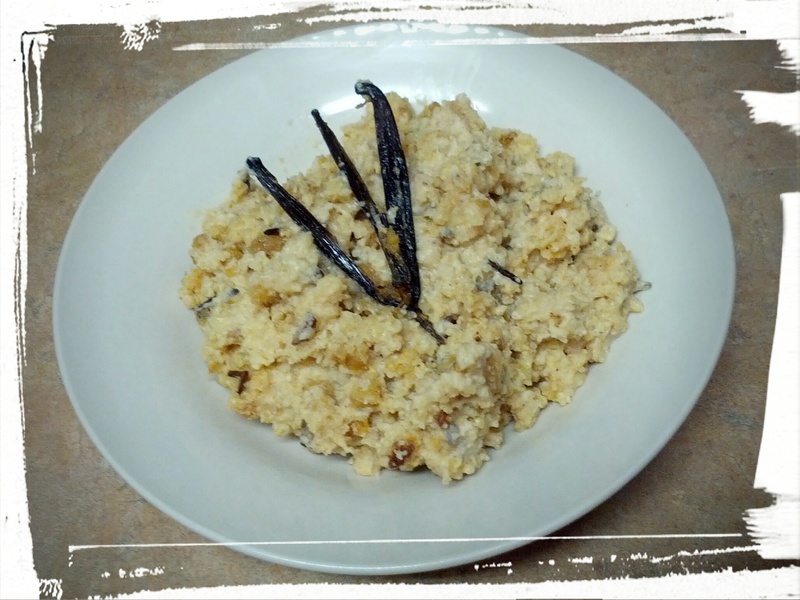 You’re basically cooking some form of milk and some form of sugar with some rice and seasonings in a slow-cooker, until it hits the consistency that you want it to have. Some like it thicker, some like it more syrupy. Each to his/her own! You can use milk, cream, or milk powder, or some variation thereof. You can use leftover cooked rice, or, since it’s being cooked for hours in a slow cooker, you can use uncooked rice and just make sure to add some extra liquid. You can use brown sugar, white sugar, maple syrup, or whatever sweetener you want. You can add vanilla beans, vanilla extract, cinnamon, anise, or whatever your foodie heart desires. See how easy it is to come up with your own recipe? But if you want to make my version, here it is! Pop all the ingredients into the slow cooker, and give it a good stir. Put it on high heat for 3 hours, stirring occasionally. Then put it on warm for 5-8 hours, until it reaches the consistency that you like. Serve in a bowl with a sprinkle of cinnamon on top, and enjoy this calcium-rich comfort food! I made this dish one evening after work, mixing it up and stirring for the three hours mentioned above, and then went to bed for 8 hours with the slow cooker on warm. I woke up to a warm bowl of rice pudding for breakfast! I convinced myself that the calcium and the wild rice made it healthy. Hey, it’s all about balance, yes? 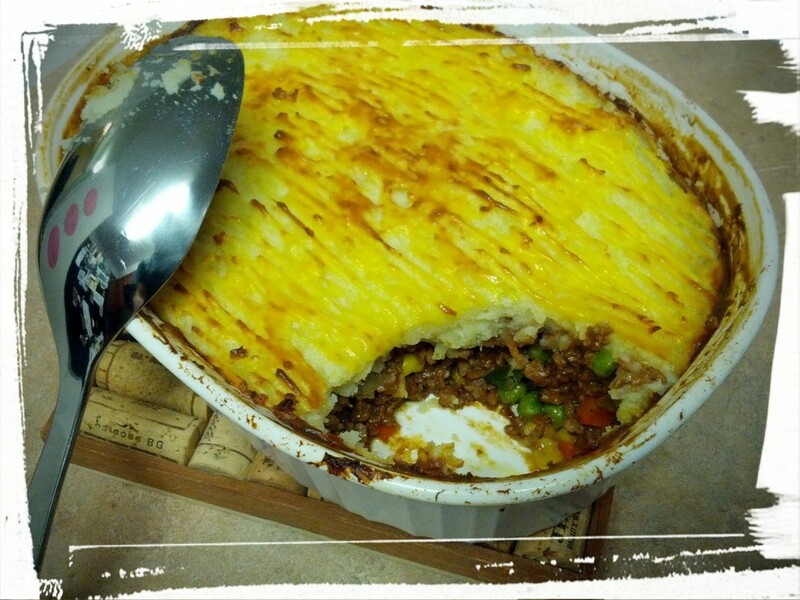 Next Post: Speaking of comfort foods, I have a recipe for a lovely vegetarian Shepherd’s Pie to share with you. Stay tuned! This entry was posted in Desserts Not Otherwise Categorized on February 15, 2015 by Margaret. Marquis au Chocolat, or Chocolate Perfection on a Plate. Both names are accurate! Today’s recipe is another from Dorie Greenspan’s book, Baking Chez Moi. I’m part of a bake-a-long group, and every two weeks we try another recipe. And today’s try-out: Marquis au Chocolat! As I type this, I’m lounging in bed with my laptop, propped up on pillows, with a cat purring beside me. Pics or it didn’t happen, you say? Stay with me, dear readers, and pictures of the feline variety you shall see! Also pictures of chocolate. Because chocolate. I mean, really, did you even need to ask? A Marquis au Chocolat is basically a frozen mousse, and dates from around the 17th/18th century. It makes for a very fancy-pants dessert, and a very rich one too. Dorie says you can make it ahead, keep it in the freezer, and just cut off slices as you need them. Great for dinner parties, oui? The recipe contains every high-fat and calorie ingredient you can think of, to make one decadent dessert! Butter, chocolate, egg yolks, sugar, cream…if it’s high-fat and tasty, it was included! For the chocolate, I used Callebaut bittersweet chocolate chips. Never heard of Callebaut? I hadn’t either, until an ex-boyfriend introduced me to it. But I digress! Why just the egg yolks and not the egg whites? Not enough calories! So not included in the ingredient list. I hate waste, so I whipped up an egg-white omelet for the DH’s breakfast tomorrow, using some of the surplus of ham we have in our freezer. It smelled so good that it managed to lure the DH out of his man-cave. “Why do you always make such delicious things?” he complained. Er, complained? Yeah, we’re both trying to watch our weight, so we’re trying to cut down on the amount of sweets we eat. Which is why I halved the Marquis au Chocolat recipe. And halving the recipe was brilliant! I used small molds as well as a loaf mold, and I definitely recommend the small molds, as they make for a beautiful presentation. I also used some crumbled toffee from a previous recipe and sprinkled that in the mold before pouring in the batter. Then I froze the whole shebang, and a hour later (which I very industriously used to wash the dishes and make lunch for tomorrow. *preens*), it was ready! Dorie says that the slices of the Marquis au Chocolat can be served with a chocolate hard-crack sauce (also known as Magic Shell), and that’s what I decided to do. I actually had some homemade Magic Shell in the fridge from last summer, so I warmed that in the microwave and poured it over the unmolded Marquis. 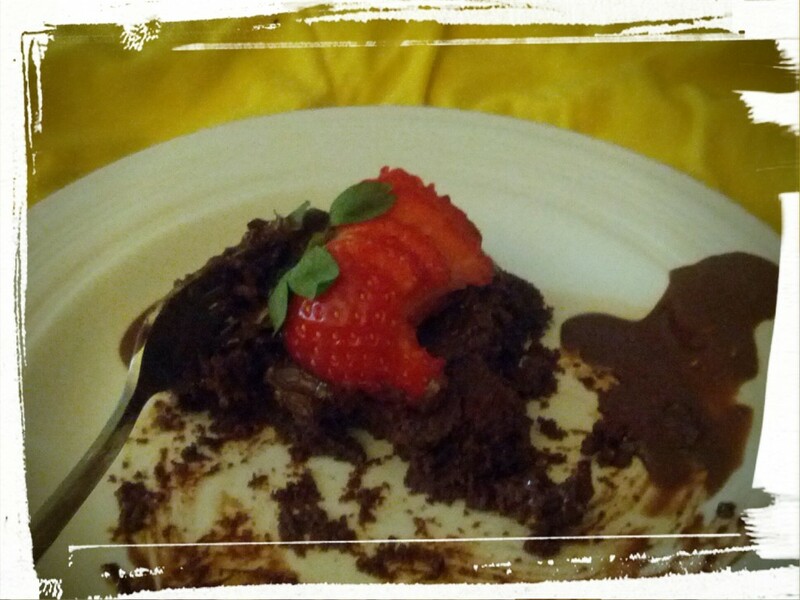 I sliced a fresh strawberry, placed it just so, and voila, dessert pour moi! And then I went and snuggled up in bed with the cat, all the pillows, and savoured each bite. 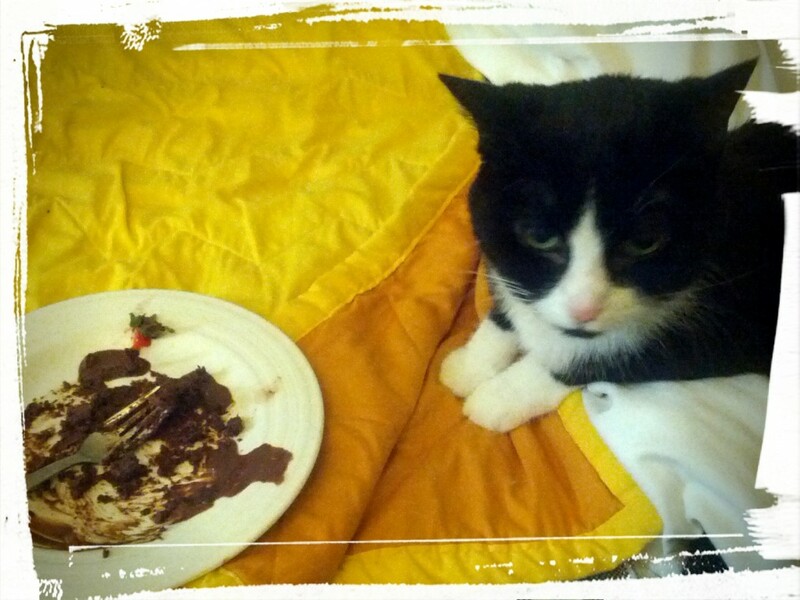 The cat is very non-plussed that I did not make a pate for her while I was at it. 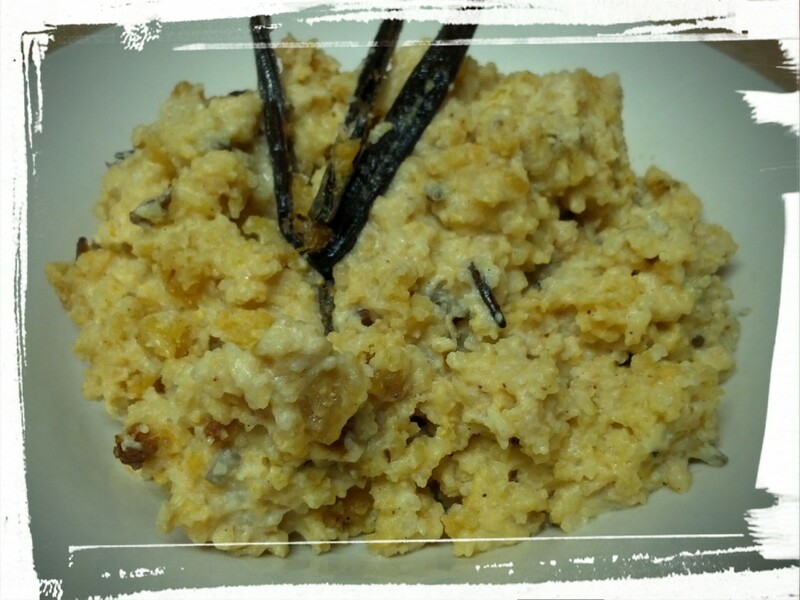 Next Post: Vanilla Rum Rice Pudding, because I had leftovers from the last BCM recipe. This entry was posted in Cook-a-Longs R Us on February 10, 2015 by Margaret.